China has lodged solemn representations with the United States over a newly approved law that calls for strengthened official contact and military links between the U.S. and Taiwan, a Foreign Ministry spokesperson said Wednesday. The Asia Reassurance Initiative Act of 2018 was signed into law by U.S. president on Dec. 31. 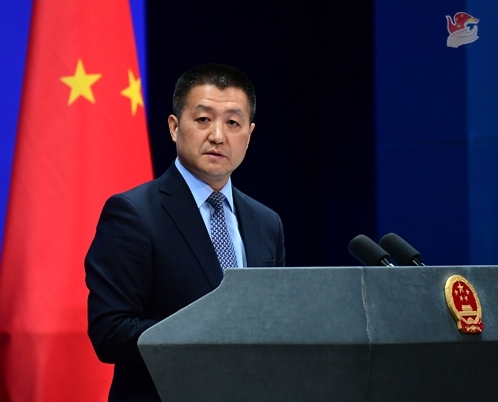 "The act has seriously violated the one-China principle and stipulations in the three China-U.S. joint communiques, and bluntly interfered in China's domestic affairs," spokesperson Lu Kang told a news briefing. The spokesperson urged the United States to restrain from implementing relevant contents of the act, prudently and properly handle Taiwan-related issues to avoid undermining China-U.S. relations as well as peace and stability across the Taiwan Strait.